Want to see all the best deals in one place? 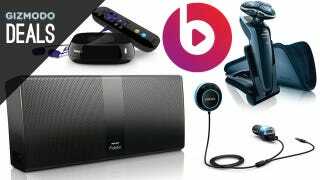 Check out today's post on Kinja Deals. If you're looking for recommendations to boost your Xbox One's storage instead, we just put those together the other day. Note: The rebate is not linked on TigerDirect. You can find it here. FREE Nokia Lumia 1020 (AT&T) | Amazon | Technically $.01. Must sign new two year contract. 30% off All Orders at Perfumania | Promo code MISSYOU306. Plus $10 off $50 with stackable code SAVE10.